Mark has just completed an interview with Musician, Artist and TV presenter, Nick Ashron for the Spirit Guides website. 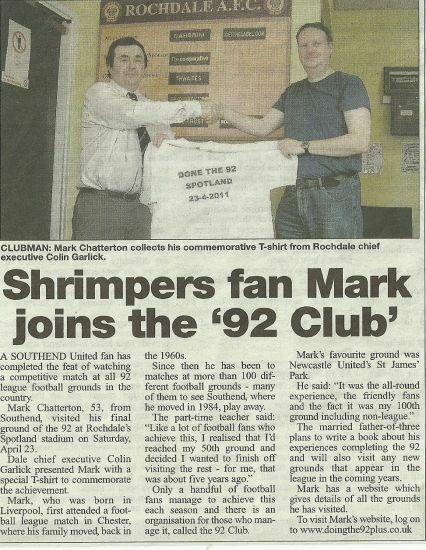 Mark's achievement of completing a visit to all 92 football league grounds has been featured in no less than four different local newspapers. Here is one of them . Mark finally completes "Doing the 92"